Here’s a unique gift idea! Get a free 11 oz. 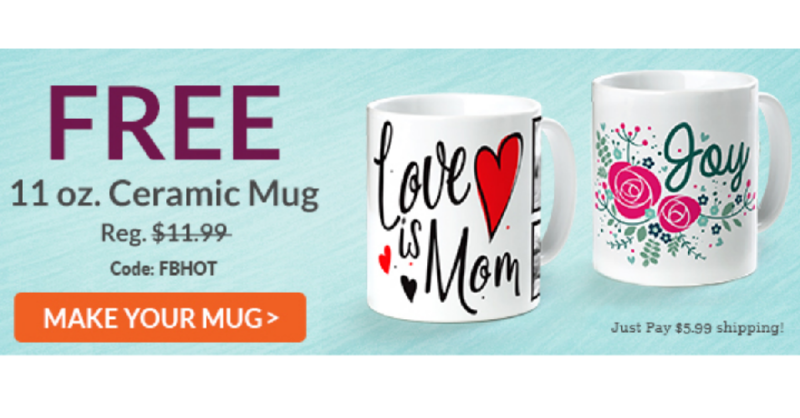 Ceramic Mug an $11.99 value with code FBHOT from York Photo. This could make a great gift idea plus you can upgrade to a 15oz ceramic mug for $3 or a travel mug for $7. This is for new customers only. Offer valid through 11/30. Shipping is $5.99.